The Housing Market is Changing, but Don’t Panic! Being a Realtor means I have to keep my finger on the pulse of the housing market. For the 16 years I’ve been in the business, I’ve been looking for signs. 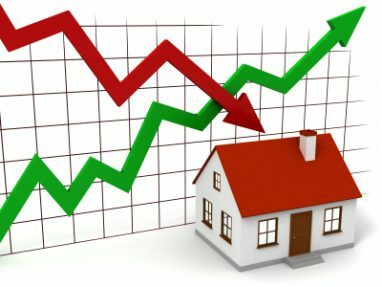 Signs that prices are rising, signs that prices are falling, signs that demand is growing and signs that demand is waning. I look at graphs, stats, and lender websites. I read articles, talk to my fellow Realtors, talk to home owners and potential buyers, I listen to ‘experts’, and I look at history, always looking for signs. It’s time once again for a quick look at Folsom housing numbers. The train keeps on rolling, and despite rising interest rates and low inventory, more buyers are jumping on board, and driving prices higher. According to TrendGraphix, for April 2018, Folsom home prices sold for an average of $262 per square foot. 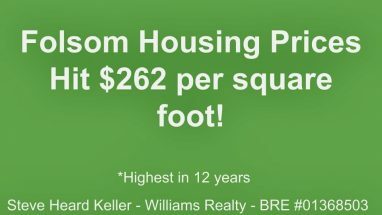 That is the highest price per foot since April of 2006, when we topped out at $271 per. Are they going to keep on rising? Is this a sign of the apocalypse? Should we expect prices to start falling?